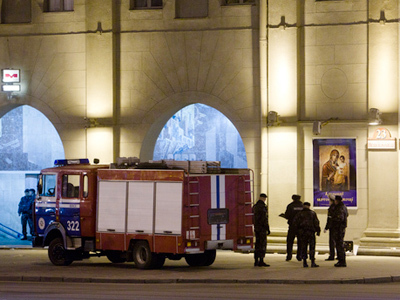 Flags are at half-mast and entertainment events have been canceled for the rest of the week, as Belarus mourns the victims of Monday’s deadly bombing of the Minsk Metro. Two suspects have been detained over the blast which killed 12 and injured 200. ­On Wednesday, the head of investigation, Andrey Shved, told the press that “the investigative procedures are being conducted, [the suspects] have undergone first interrogations in the presence of lawyers, and first testimony has been obtained from them". There were reports on Tuesday that a number of people had been detained in connection with the blast, though it was not confirmed that they are suspects. 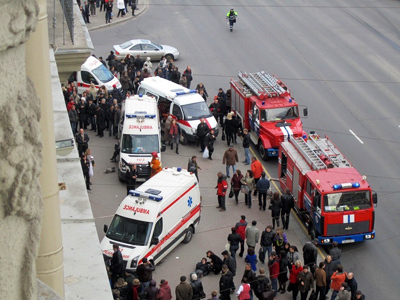 Andrey Shved said that the CCTV footage taken from the subway suggests that one of the detained suspects may have detonated the bomb. 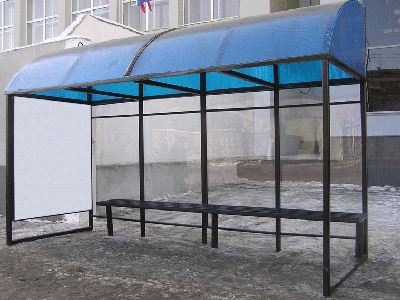 “It is well seen on the CCTV record that he arrives to Kupalovskaya station, transfers to Oktyabrskaya and stays there for a while, and then he puts the bag on the bench and leaves the station, moving his hands in his coat pocket. 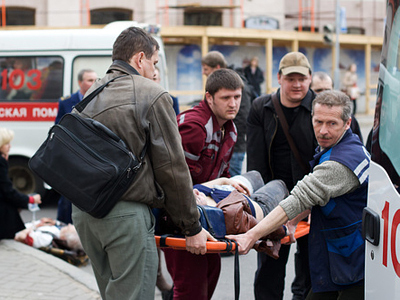 After that the blast happened,” said Shved. Shved said that both suspects are from one of Belarus’ regions and that they knew each other. 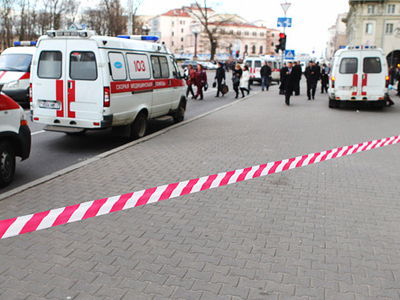 Police are also investigating whether the two were involved in other bombings – in the city of Vitebsk in 2005 and on Independence Day in Minsk in 2008. The possibility of their connection to these cases is said to have come from information received from the suspects. The head of investgation has also said that the police are now working on a forth scenario for the metro blast. On Tuesday, the Chief of the Federal Security Forces of Belarus, Vadim Zaitsev, announced three possible theories for the terrorist attack – one of them is indirectly connected to the presidential election.The first suggests that the attack was aimed at destabilizing the situation in Belarus. According to the second version, young extremists could have been involved in the bombing. The third version, suggests that “not only mentally ill, but also ill-ambitioned” people could have been behind the blast. Experts from Russia and Israel are in Belarus helping local investigators. Representatives from Russia’s Investigative committee are also expected to arrive in Belarus. 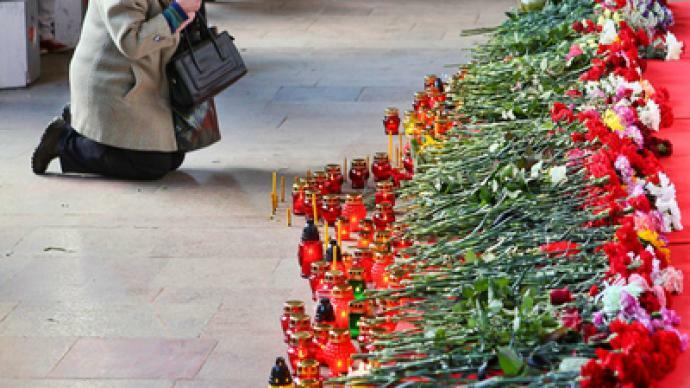 People continue to lay flowers, light candles and leave Biblical messages at the entrance to Oktyabrskaya metro station where the bomb went off during the evening rush hour on Monday. More than 150 people remain in hospital, with 26 of them in serious condition. Fifty-eight are said to be moderately injured and 67 in stable condition. The first funerals are expected to be held on Wednesday.